Miles McEnery Gallery is a contemporary art gallery located in the Chelsea neighborhood of New York City. The gallery is the evolution of Ameringer | McEnery | Yohe where McEnery was a partner and the managing director. The gallery was granted membership to the Art Dealers Association of America (ADAA) in 2001 and Miles McEnery Gallery continues to exhibit at the ADAA Art Show. As a member of the ADAA, the gallery is committed to maintaining the highest standards of integrity, scholarship, and connoisseurship. In 2009, Ameringer | McEnery | Yohe moved to its current location at 525 West 22nd Street in Chelsea. Today, Miles McEnery Gallery continues in that Chelsea location. It is the primary representative of over thirty international contemporary artists and artists’ estates, and the exclusive representative of the Hans Hofmann estate. Since its founding, the gallery has published significant catalogues that have accompanied its exhibitions, and has been instrumental in the publication of several artist monographs. Additionally, it regularly assists in the organization of institutional exhibitions and facilitates museum acquisitions. In anticipation of the celebration of its twentieth anniversary, Miles McEnery Gallery underwent a major renovation at its 525 West 22nd Street location in the winter of 2018. 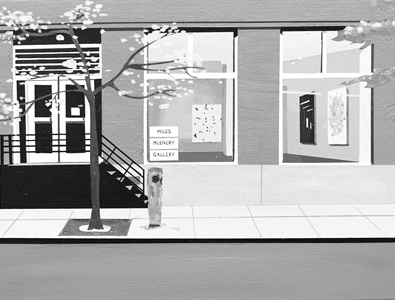 The gallery has grown both physically and conceptually since its inception, and this expansion resulted in greatly improved, updated, and redesigned galleries that show artwork to its optimal advantage and allows Miles McEnery Gallery to best serve the needs of the artists and clients it will collaborate with for decades to come.